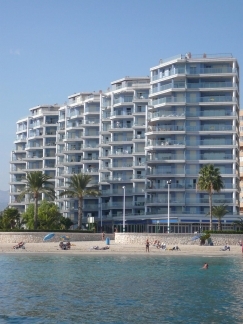 Luxurous apartments for rent on the beach in Calpe. 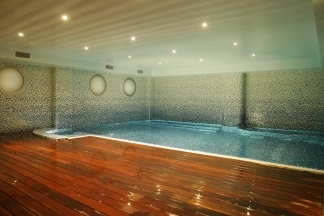 The heated indoor-swimmingpool with Spa. Lvingroom of a 2-bedroomed apartment. 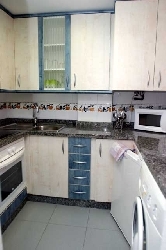 Apartments with 1, 2 or 3 bedrooms for rent on the beach. 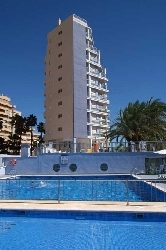 This recently constructed building has all the necessary for a relaxing holiday on the beach. 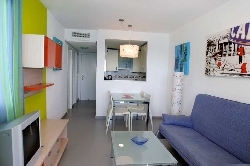 Very modern apartments with views to the sea and the beach (some of them also to the Pe�on de Ifach). 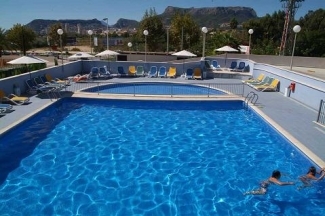 All the apartments dispose of airconditioning with heating, TV-Sat. (possibility to hire a Sky-box receiver with basic card or you can bring your own one). NOW ALSO FREE WIFI IN EACH APARTMENT!!! 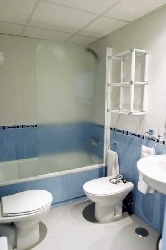 The apartments with 2 and 3 bedrooms have 2 bathrooms! Direct access from the building to the walking promenade and the beach; no street in between! 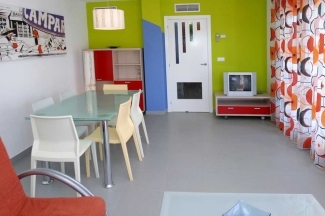 Special prices for longtermrentals or short stays(less than 7 nights), please inform! Balance to be paid - On arrival to arrival.